If you register on our Sites, you will be asked to create a unique username and password. Your username and password are issued to you and may not be used by anyone else. You are entirely responsible for maintaining the confidentiality of your username and password. Furthermore, you are entirely responsible for any and all activities that occur on the Sites using your username and password, whether or not authorized by you. You must immediately notify Gold Dust West of any known or suspected unauthorized use of your username and password or any other breach of security. These Sites and e-mails sent to you as a result of registering on these Sites contain materials including, but not limited to, text, audio, video and/or images (individually and collectively the “Materials”) which are protected by international copyright, trade secret and trademark laws. You may access and use the Materials solely for your personal, non-commercial use, provided you keep all copyright and other proprietary notices completely intact. You may not copy, republish, upload, post, transmit, disclose, distribute, decompile, reverse engineer or disassemble the Materials. The Materials are licensed to you on a personal, non-exclusive basis by Gold Dust West, and are not sold or transferred to you. Except for the limited rights explicitly granted to you herein, Gold Dust West retains ownership of all right, title, and interest in and to the Materials including all intellectual property rights associated therewith (e.g., copyrights, patents, trademarks, trade secrets, and know-how). Gold Dust West’s name and logos and all related product and service names, design marks and slogans are the trademarks or service marks of Gold Dust West. You are not authorized to use any such name or mark in any advertising, publicity or in any other commercial manner without the prior written consent of the owner. Any unauthorized modification, tampering or change of any information, or any interference with the availability of or access to these Sites is strictly prohibited. Gold Dust West reserves all legal rights and remedies available to it. Your use of these Sites and the Materials is at your own risk. If you are dissatisfied with any of the Materials contained in these Sites, or with any of these Terms and Conditions, your sole and exclusive remedy is to discontinue accessing and using these Sites. Gold Dust West assumes no responsibility and shall not be liable for the accuracy, completeness, timeliness, reliability, relevance or usefulness of any of the Materials contained on these Sites. Gold Dust West also assumes no responsibility and is not liable for any damages to, or viruses that may infect, your computer equipment or other property on account of your access to, use of, or browsing in these Sites or your downloading of any Materials from these Sites. NEITHER GOLD DUST WEST CASINO, NOR ANY OTHER PARTY INVOLVED IN CREATING, PRODUCING, OR DELIVERING THESE SITES OR THE MATERIALS IS LIABLE FOR ANY INCIDENTAL, CONSEQUENTIAL, INDIRECT, SPECIAL, PUNITIVE, OR OTHER DAMAGES ARISING OUT OF YOUR ACCESS TO, OR USE OF, THESE SITES. WITHOUT LIMITING THE FOREGOING, EVERYTHING ON THESE SITES IS PROVIDED TO YOU “AS IS” WITHOUT WARRANTY OF ANY KIND. TO THE FULL EXTENT PERMISSIBLE PURSUANT TO APPLICABLE LAW, GOLD DUST WEST CASINO DISCLAIMS ALL WARRANTIES, EITHER EXPRESSED OR IMPLIED, INCLUDING, BUT NOT LIMITED TO, THE IMPLIED WARRANTIES OF MERCHANTABILITY OR FITNESS FOR A PARTICULAR PURPOSE, NON-INFRINGEMENT, LOST REVENUES, OR LOST PROFITS. 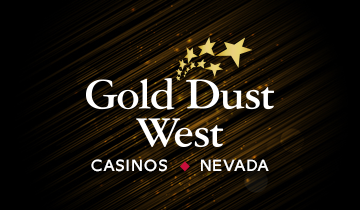 NEITHER GOLD DUST WEST CASINO NOR ANY THIRD PARTY CONTENT OR SERVICE PROVIDER PROVIDES ANY GUARANTEE AGAINST THE POSSIBILITY OF DELETION, MIS-DELIVERY OR FAILURE TO STORE COMMUNICATIONS, PERSONALIZED SETTINGS, OR OTHER DATA, AND GOLD DUST WEST CASINO EXPRESSLY DISCLAIMS ALL LIABILITY FOR ERRORS OR OMISSIONS IN, THE MISUSE OR MISINTERPRETATION OF, OR THE RELIANCE ON ANY INFORMATION CONTAINED IN THE MATERIALS. YOU ASSUME THE ENTIRE RISK AS TO THE USE OF THESE SITES AND THE MATERIALS. IN NO EVENT WILL THE LIABILITY OF GOLD DUST WEST CASINO TO YOU OR ANY THIRD PARTY EXCEED THE AMOUNT OF ANY FEES YOU HAVE PAID FOR ACCESS TO THESE SITES OR THE MATERIALS, IF ANY. Some states or jurisdictions do not allow the exclusion or limitation of incidental, consequential, or special damages, or the exclusion of implied warranties or limitations on how long an implied warranty may last, so the above limitations may not apply to you. You agree to immediately notify Gold Dust West of and to indemnify and to hold Gold Dust West harmless from any and all claims (including reasonable attorneys’ fees and costs) resulting from: (i) your acts, omissions, or representations in any way related to these Terms and Conditions; (ii) your access to, and use of, these Sites; or (iii) any information or services you receive through these Sites. You shall use your best efforts to cooperate with us in the defense of any claim. Gold Dust West reserves the right, at its own expense, to assume the exclusive defense and control of any matter otherwise subject to indemnification by you. These Terms and Conditions will be construed solely in accordance within the laws of the State of Nevada, without giving effect to principles of conflicts of laws. Any actions, proceedings or suits concerning or relating to this Agreement may only be brought in a court of competent jurisdiction in Reno, Nevada, or in the U.S. District Court for the District of Nevada, and each party hereby consents to the jurisdiction and venue of such court, and waives any objections thereto. In the event any provision of these Terms and Conditions is determined to be invalid, such invalidity will not affect the validity of remaining provisions, and the parties will substitute for the invalid provision a provision which most closely approximates the intent and economic effect of the invalid provision. Failure by either party to complain of any act or failure to act of the other party or to declare the other party in default, irrespective of the duration of such default, will not constitute a waiver of rights here under. These Terms and Conditions constitute the complete agreement between you and Gold Dust West with respect to these Sites and supersedes all prior communications and agreements. Gold Dust West may at any time, in its sole discretion, revise these Terms and Conditions by updating them on this web page. You are bound by any such revisions and should therefore periodically visit this web page to review the current Terms and Conditions. When you earn points, it’s your chance to win great prizes in our monthly giveaways, including cash! Just remember to use your Gold Rewards Club card when you play.